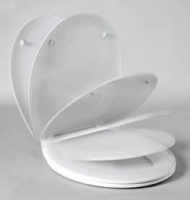 Universal seat in white with adjustable chrome plated hinges and sta-tite system. Fits majority of standard pans. 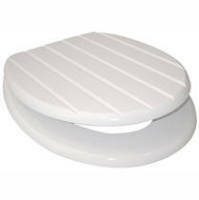 Made from high quality polypropylene and weighs circa 1.7kg. Developed with extensive research and testing, the Sta-Tite® system utilises a patented single-piece fastener that includes a glass-filled nylon nut and integrated washer that outperforms the traditional stainless steel fastener. 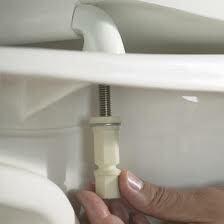 It allows installers to quickly achieve the exact amount of torque needed to keep seats securely fastened without the risk of damaging the bowl by over-tightening.